We took the mesh cover off of our pool last night to this... slam is now in progress. From what I could see with my iPhone flash light this morning the water has gone to a milky color. Once the slam is complete, I will be converting to salt! Well, you have a mess there, but nothing some FC won't fix. Lots and lots of scubbing with the brush, filtering, and backwashing. Follow SLAM precisely, and don't slack on the Chlorine or this will drag, and drag. Let us know if you hit a snag, and good luck!! Slam is going well. This is how it looks now. When I get home and can babysit it better I will put some DE powder in the filter to speed this up some. Wow.. it looks better already. Take pictures daily. I suspect this will be a very quick SLAM and if so, would make a great example for others here facing the challenge. Looking better already! Hit it hard, maintain that FC & brush, brush, brush! Remember, we're here if you need us. This wonderful community helped me through my first slam 3 years ago when I realized the pool store was simply after my money. Making great progress!! It will be sparkly in no time. Put that electronic calendar reminder in now for next March 1st - Opening Day! 60 degree algae breeding water can sneak up on you. Who knows, this year that may have even been too late. I forgot to follow up with y'all. It took 31 gallons of bleach, but my water is crystal clear now. I will be installing the salt cell / controller tonight or Sunday. I'm excited about converting to salt! Because the FC is added in such a slow, steady way that it doesn't give a big one time ooomph of chlorine to the water. The extra CYA helps maintain it over time. When you add a large dose of chlorine at once you'll have a short period of higher chlorine but then it dwindles. 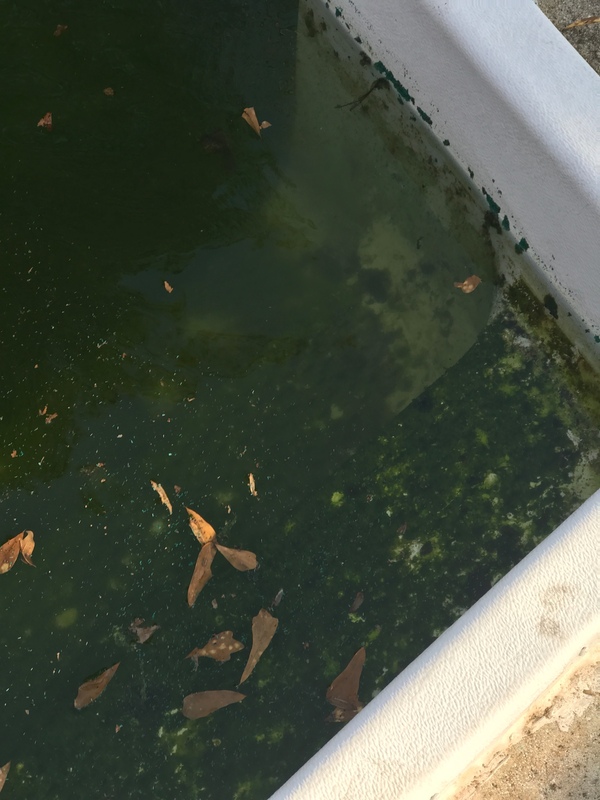 The SWG chlorine is lower level but more constant. Ok that makes sense. 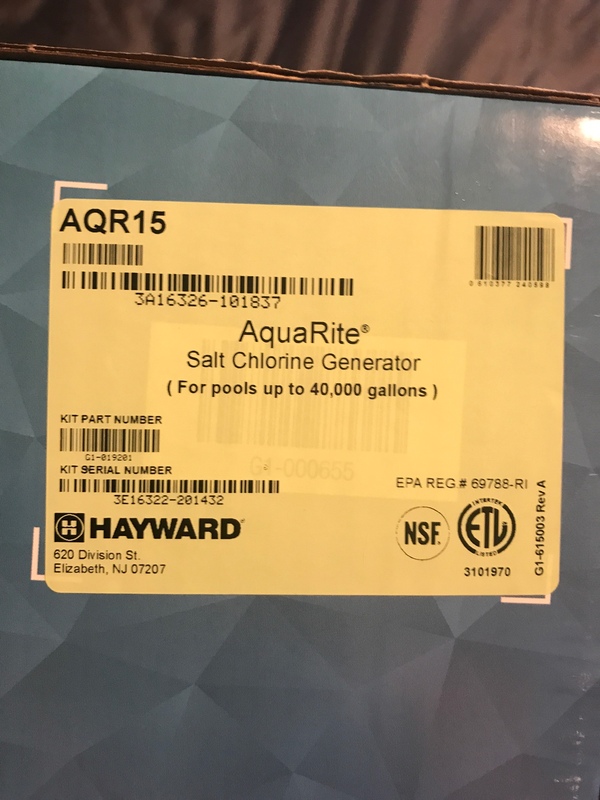 I bought the CYA to bring my pool up to the recommended levels for salt once I have put the system in and my water is warm enough to use it. When you add the salt just remember to keep the SWG *OFF* for a day or two. Having it on will confuse the poor device as it gets a big bolus of salt running thru it before its all dissolved and mixed in well. The primary benefit of running at higher CYA for an SWG pool is that the higher CYA levels decreases the daily FC loss rate to UV light. By decreasing the loss rate (in a clean pool, UV is the biggest chlorine killer), you allow the SWG to run less. SWG's only produce chlorine when the pump is running and they have a finite operational lifetime; most manufacturers will quote about a 10,000 hour runtime (although experience shows it to be less than that in most cases, usually between 5000-8000 hours). So, you maximize the economics of an SWG by running it less and that also saves you money on pump run time costs as well. Speaking of pumps.....you are going to want to ditch that single speed pump you have in favor of either a 2-speed or a variable speed pump. With an SWG, you have to run the pump to create chlorine and the typical minimum flow rates are about 15 GPM for most SWG cells. Depending on how you sized your SWG, you could find yourself running the pump a lot more than you are used to. A 2-speed pump that is able to give you the correct minimum flow rate for the SWG while running on low speed will save you A LOT of money on utility costs. A single speed pump runs full-bore all the time and will cost you money. Obviously a variable speed is the optimal choice because you can really dial in the lowest possible speed to get the SWG to run which can save you a lot of money but many people find the upfront cost of a VSP to be outside their budgets. A cheap option would be to replace the motor on your single speed pump with a 2-speed motor but that does possibly require some re-wiring of the electrical service to the pump and not everyone is prepared to do that kind of work. I bought a cell for a 40k gallon pool, ours is roughly 20k. Currently the pump runs about 6 hours per day. I think the current pump only has another season or two of life left in it. I already plan to replace it with a variable speed pump when it dies. So the Hayward T-15 cell puts out 1.4lbs of chlorine gas per day, that's its total generating capacity. In your pool volume, that's equivalent to generating 8ppm FC per day. 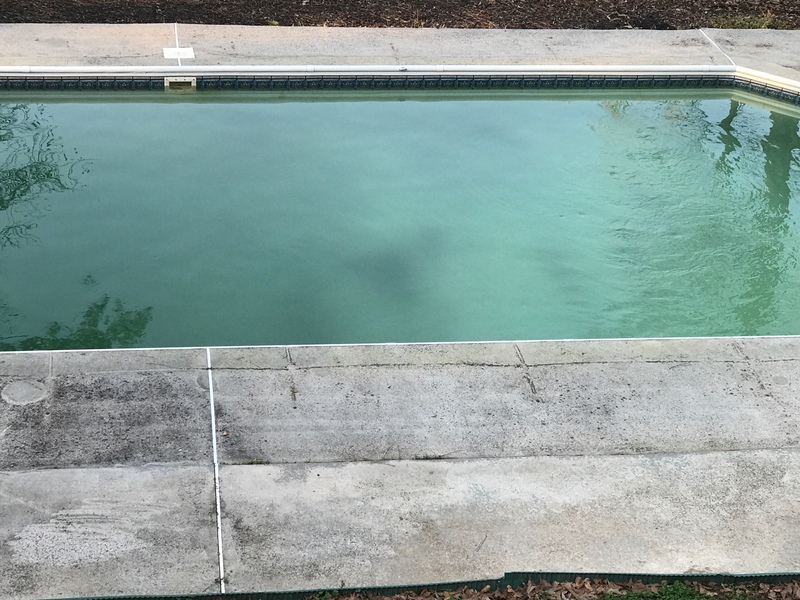 Assuming your pool is maintained to TFP specs, a clean and clear TFP pool can lose anywhere from 2-4ppm per day; you might have a better feel for your FC loss when you were using bleach. Regardless, if you assume a 2ppm/day loss, then you will have to run your pump for 6 hrs/day to maintain you FC level. If your loss is closer to the higher end at 4ppm/day, then you'll need to run your pump for 12 hrs/day. You can pretty much assume that, at the height of the swim season, you will definitely be running higher than 6 hrs/day. 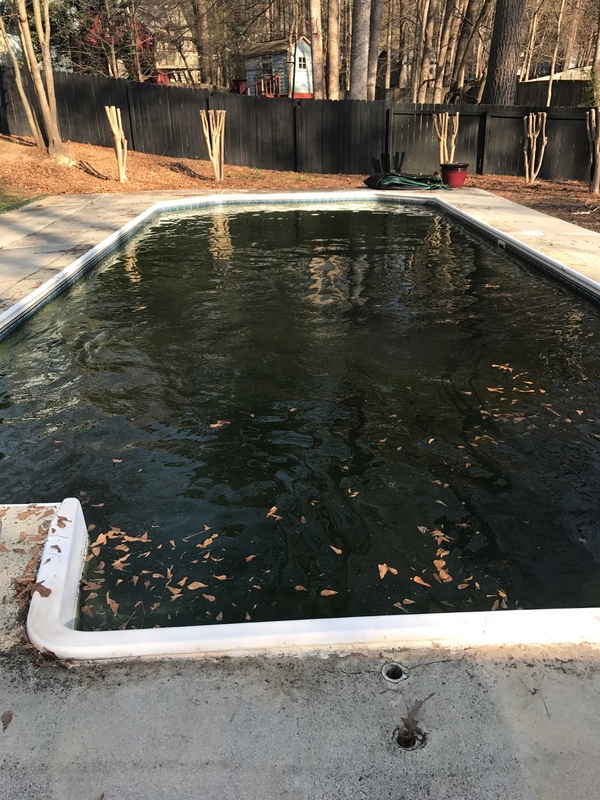 So, you'll have to see what impact that has on your electric bill because pool pumps are generally one of the bigger components to an electric bill (A/C and refrigerators are the next biggest). Thank you so much for that info! That gives me a very clear idea of what to expect! I do keep my pool maintained to the standards here. Actually that is perfect then. I already run the pump 6 hours per day, and generally last season, at its peak I would lose about 2ppm per day. Our pool only gets sun for a few hours. We generally do not have a high bather load either. The times we would have a party last year I would run the pump for 24hrs, so I definitely think this will work.